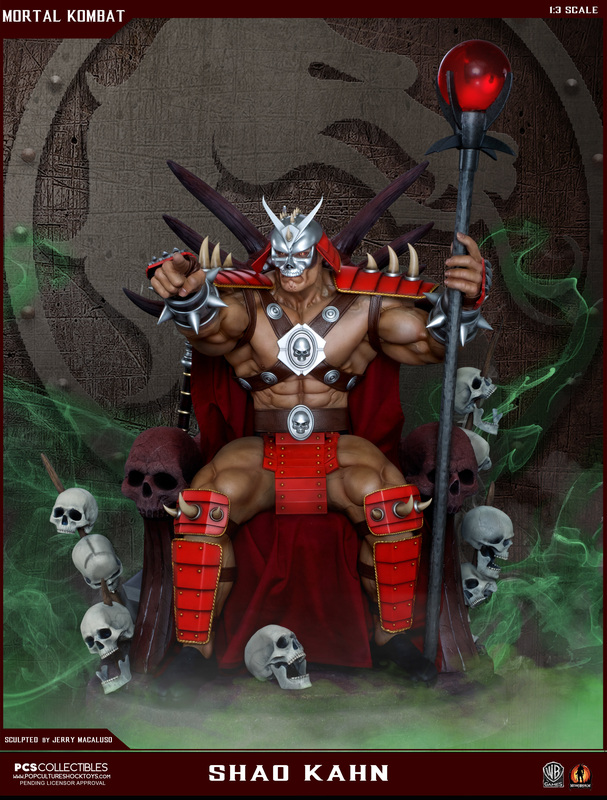 PCS Collectibles is proud to present Shao Kahn atop his Throne. 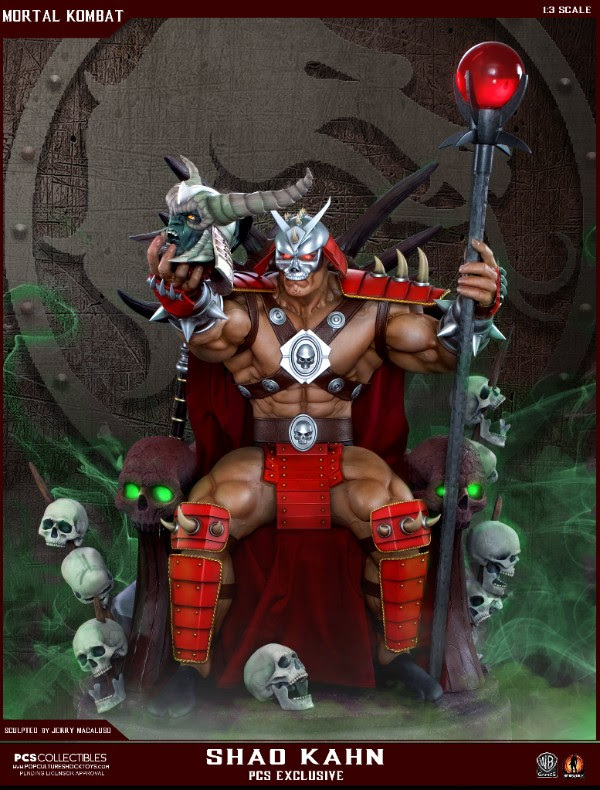 A massive 1:3 scale collectible, Shao Kahn was sculpted by Jerry Macaluso and features richly detailed mixed media elements. The PCS Exclusive version will feature a number of light up LED features and swap out parts to make this the definitve Mortal Kombat collectible of the year!